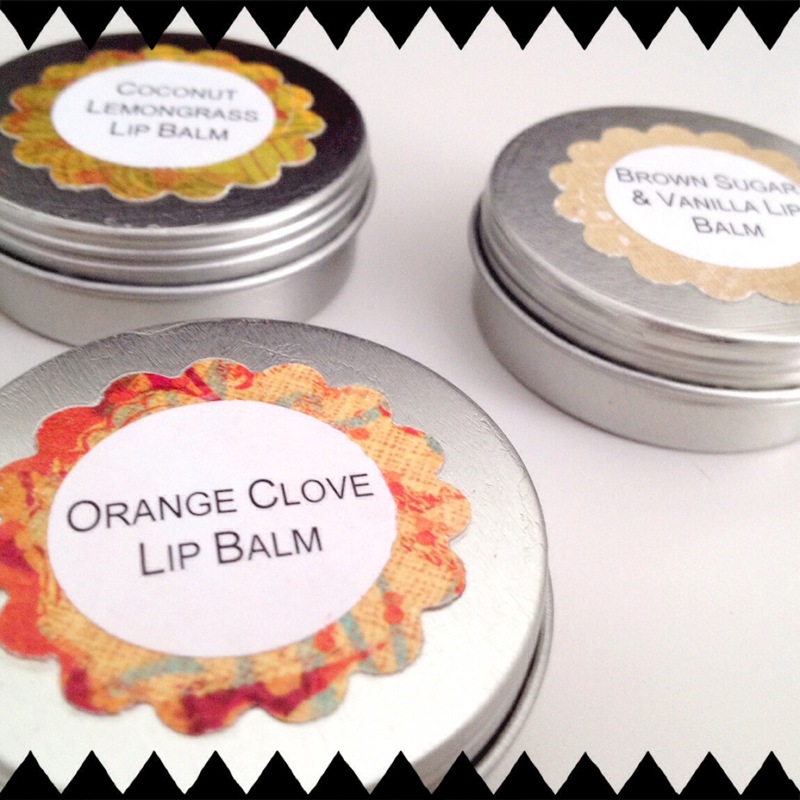 Last year I made some lotion and lip balms to give as gifts to my sisters-in-law, and they were a big hit. This year we drew names for gift-giving with my inlaws, so I decided to DIY a few other fun treats for gift purposes, this time to the gals I work with. I LOVE handmade gifts, especially when they are made with good ingredients, so I hope the recipients feel the love behind these! Look at this assortment of goodies! In the picture above I have all my gift items ready to hand out – lip balms, castile bar soaps, hand creme (yet to label!) and lavender eye pillows. I wanted to first share the super simple lip balm recipe because it’s fast and fun and there’s still plenty of time to get everything and make some of these for the holidays. And it’s made with all kinds of good-for-you stuff as opposed to chemicals and it’s fun to make your own flavor combinations, so even if you just want to make yourself a huge supply, I’d totally recommend it! 1 TBS + 1 TBS filtered beeswax (either use pellets or grate a large piece into the appropriate measurements). *Note: Remember you’ll want to use oils that are tasty, since this is going on the lips! I’ve suggested some below. Using a double boiler (I use a Pyrex measuring cup in a pan with a couple of inches of water in it) heat up the beeswax, Shea butter, and Almond oil. Stir constantly until it’s all melted into liquid. Remove from heat. Stir in the Vitamin E oil. Stir in your essential oils til you achieve desired scent. Divide mixture evenly among several small containers. Let them cool completely before putting lids on the containers. The mixture will harden to a perfect lip balm consistency upon cooling. You can also use a dab of cocoa powder in your mixture if you want something chocolatey. That would be delicious when mixed with peppermint or orange essential oil. The possibilities are endless! Here I made two with flavor oil from Bulk Apothecary, Coconut-Lemongrass and Brown Sugar & Vanilla, and another lip balm with doTerra Sweet Orange and Clove oils. The essential oil balm is by far my favorite because it doesn’t taste artificial. The others are still great, but there’s a big difference in the quality, in my opinion. To prettify these for gift giving, I printed the flavor and cut out each in a small circle with a craft punch. I Mod Podged a small circle of scrapbook paper to each lid, then added the circle label to the center. I Mod Podged the whole lid and let dry for an hour or so before stacking them away in a box. 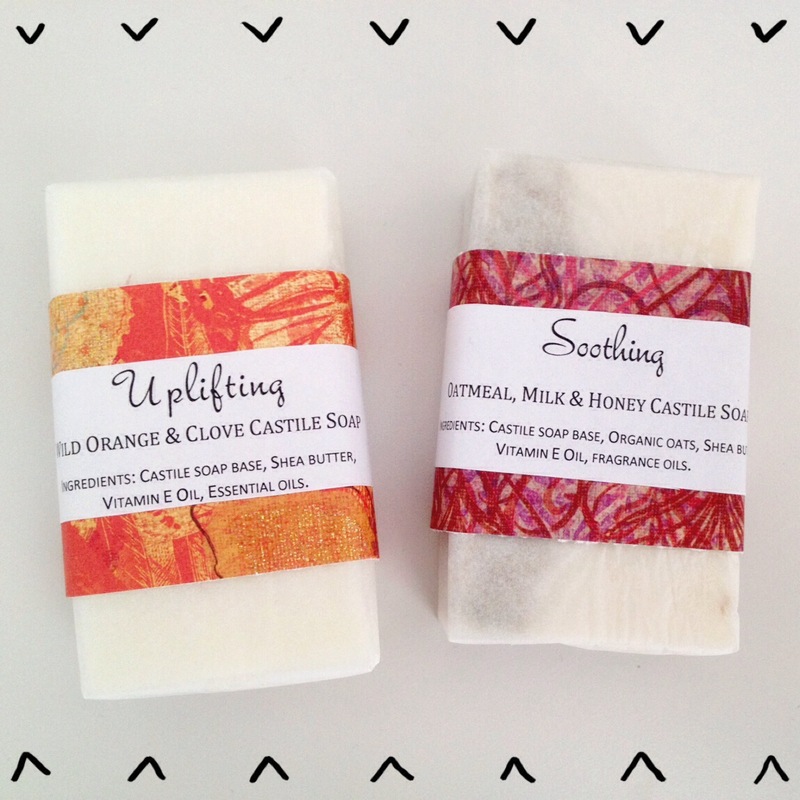 These match the handmade soaps I also made as gifts – here’s a closer peak at those. 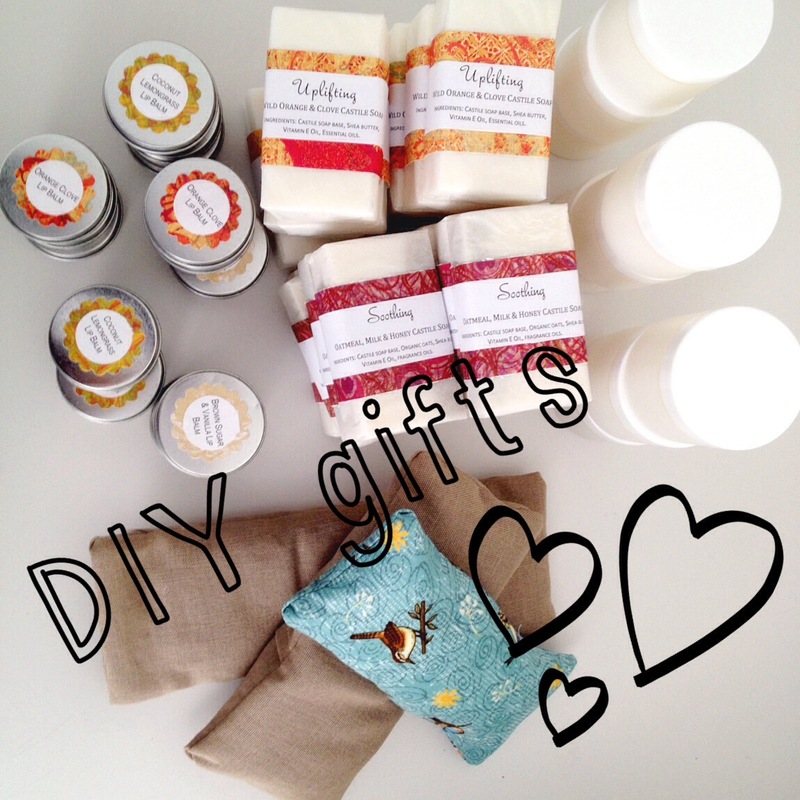 I will add a tutorial on making the soaps shortly, as well as the hand creme in the above picture. Are you making any gifts this year? Do you love receiving handmade gifts as much as I do?